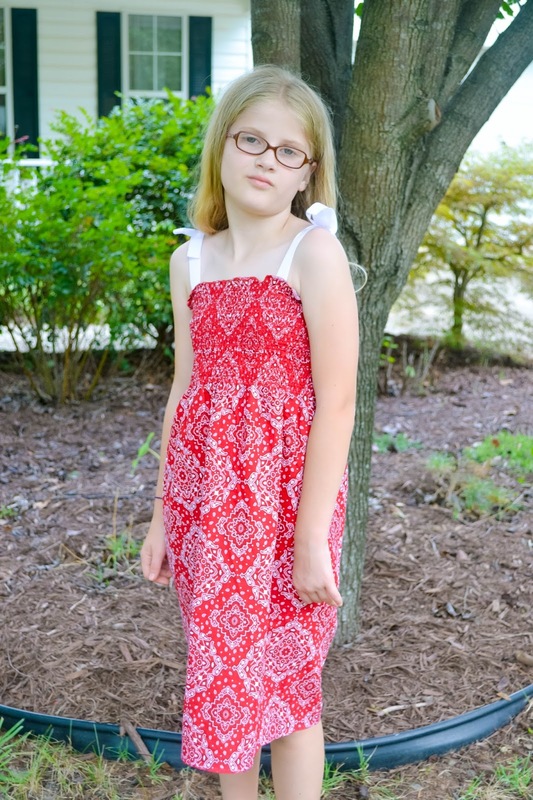 Architecture of a Mom: Lazy Days Sundress - Easy Sewing Tutorial! 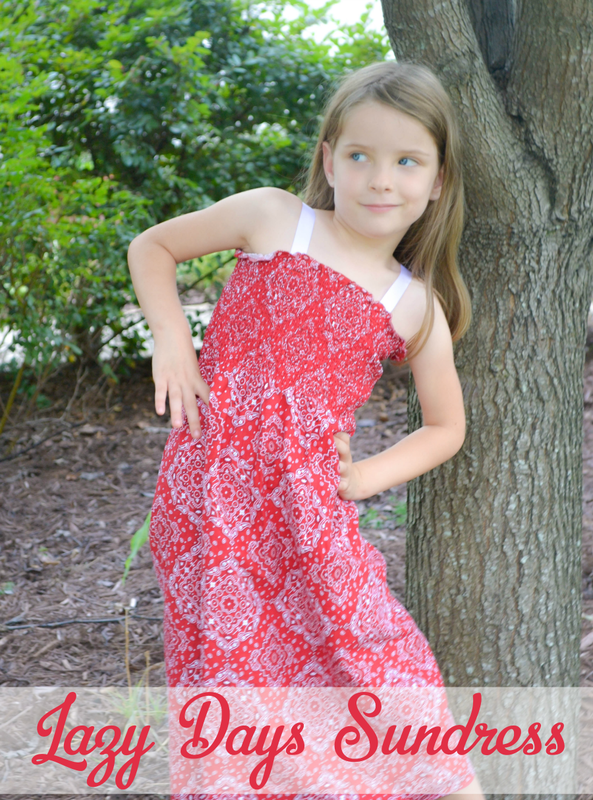 Lazy Days Sundress - Easy Sewing Tutorial! 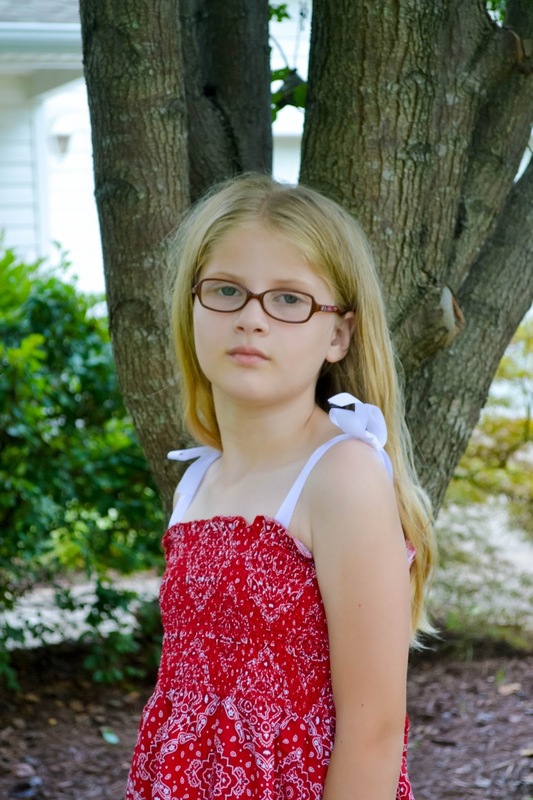 I love making clothes for my girls. It’s also the most stressful thing for me. Every time I make an article of clothing for them, they love it, but inside my head, I’m stressing that it won’t fit right. That’s why I try really hard to keep it simple. And since it’s still blazing hot here where we live, it’s still sundress season. And this little sundress? It’s literally the simplest dress possible. I mean really, it’s a lazy summer day sundress for sure!! The secret to sewing up this simple dress? Presmocked fabric. Call me a sewing newbie, but I had no idea such a thing existed! It comes off the bolt with the top 8 inches or so already smocked. So you measure around your child’s chest and then add about a ½ inch to an inch (for a seam allowance). Then I pinned it into a tube and tried it onto my girls again. I sewed the seam down the back of the dress/tube and then cut some ribbons for the straps. Each step of the way I had my girls try the dresses on to make sure it would fit. I sewed on the ribbons aligning the seam with the smocking. One of my girls wanted the straps to tie, and the other didn’t. I just let the selvage of the material be the bottom hem since it wasn’t obvious. This really is a lazy summer dress. And yes, I know that one of the twins didn’t get a dress; I bought the rest of the bolt at a store that was closing. I simply didn’t have enough fabric. The twins will share this dress.